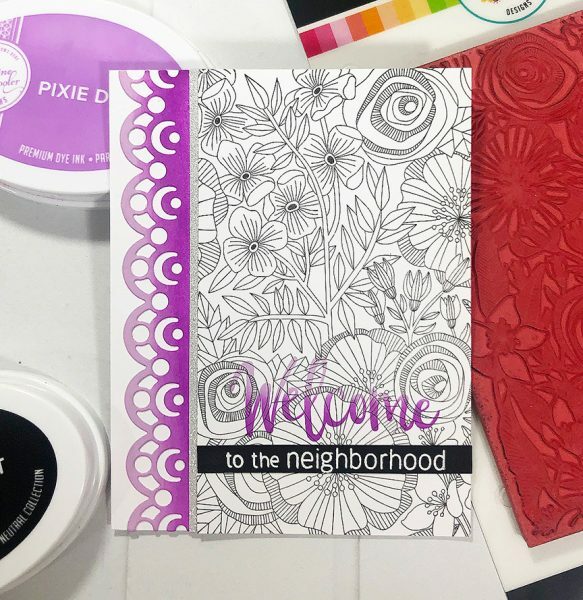 Welcome to the blog hop celebrating our Welcome Home Release! 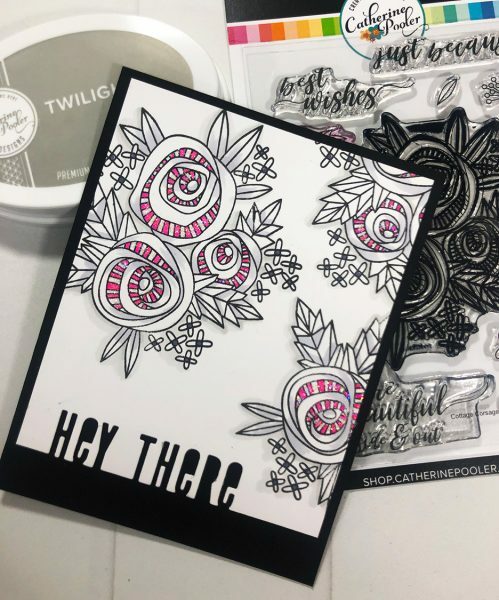 We initially revealed these products at Creativation 2019 and our booth was a tribute to the stamps in this collection of products. 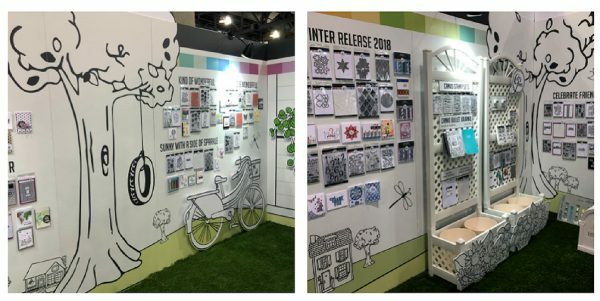 We literally plucked images from our Happy Place, Beautiful Ride, Fresh Cut Flowers, and Warm Welcome Stamp Sets, blew them up to life-size and decorated the booth with them! It was like walking into an illustration! These are the last few products I have to reveal and you'll be introduced to them in our Facebook Live today at 1 PM Eastern. Be sure to join us, comment and share because we'll be giving more gift certificates away! In case you missed it, this YouTube Live Stream shows a close up look of all the products revealed so far and see a bunch of great samples made with them! Enjoy! We also have the Life Changing Picket Fence Brushes being added to the shop and our Carnivale Mini Ink Pads! Can I get a WOOHOO!!??? Here are a few gorgeous cards made by the Creative Team. 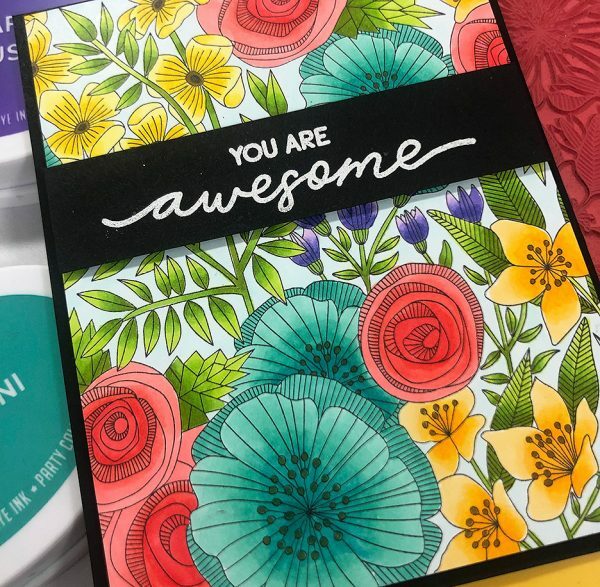 We've got some pretty talented card makers lined up for you in this blog hop…I haven't seen their cards yet, so it's like Christmas morning for me, too! Tracie Pond – go here next! Be sure to leave comments on the blogs, the Creative Team LOVES hearing from you and you'll be entered to win one of our $25 gift certificates. Just for leaving some love for our CT! Thank you so much in advance! Prizes announced here on the blog on February 18! TUESDAY: Join us tomorrow, Tuesday, Feb. 12 on YouTube for our video hop. TUESDAY: StampNation Members, join us at 3 pm eastern for early ordering and a live stream party! WEDNESDAY: Join us for a super fun Instagram Hop and all the products will magically pop into the shop at 9 am!